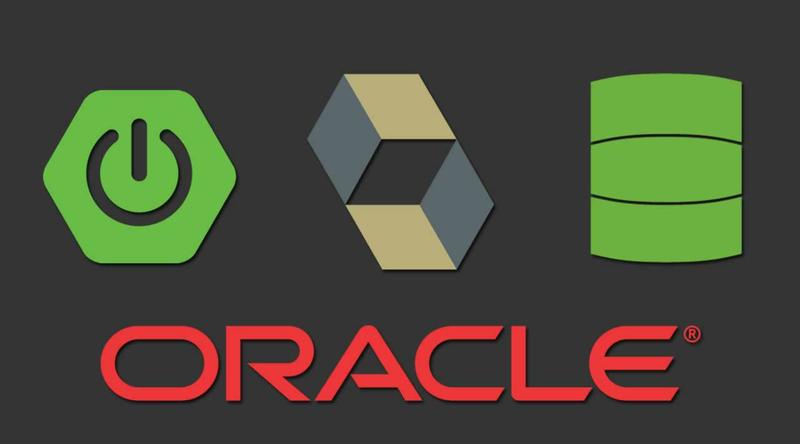 In this tutorial, we will learn how to create a Spring Boot application that communicates with an Oracle data source through Hibernate. Open Eclipse, then create a new Maven project and name it SpringBootHibernate. Auto-configuration of an in-memory embedded database, which allows you to run your application without even setting up a database. Auto-import of the JPA API and Hibernate. Adding this dependency will automatically import the JPA API and use _Hibernate _as the default implementation. Auto-read of the data source and Hibernate configuration from application.properties. Auto-creation of the entities as tables and auto execution of import.sql. In this tutorial, we’re going to override the default in-memory database provided by Spring Boot and use our own Oracle database. For this purpose, we add “oracle-ojdbc6-11.2.0.3.jar” under WEB-INF/lib and define it in our classpath. Our entities represent a player and a team with a one-to-many relationship. Each team could have many players, whereas a player could only play with a single team at a time. Since we set spring.jpa.hibernate.ddl-auto=create-drop inside application.properties, our application will automatically create Player and Team entities in our database, along with their sequences and constraints. Our application would also look for import.sql in the classpath and execute it, if found. We define our repositories’ interfaces under com.programmer.gate.repository. Each repository extends Spring CrudRepository, which provides a default implementation for the basic find, save,and delete methods — so we don’t care about defining implementation classes for them. Now we define our service class, which holds the business logic of our application. Our service exposes two methods: getAllTeamPlayers() and addBarcelonaPlayer() ( just rename it to your favorite club if you don’t like Barcelona!). Our service layer communicates directly with the repository layer. P.S. : It’s worth mentioning that the Spring Boot application automatically reads and creates entities, repositories, and services defined in the same package or in a sub-package relative to where you have your initializer class. So if we define Application.java under a different package, then we need to explicitly specify the package of the model, repository, and service. 2018-04-13 14:54:48 DEBUG org.hibernate.SQL - select team0_.id as id1_1_0_, team0_.name as name2_1_0_, players1_.team_id as team_id5_0_1_, players1_.id as id1_0_1_, players1_.id as id1_0_2_, players1_.name as name2_0_2_, players1_.num as num3_0_2_, players1_.position as position4_0_2_, players1_.team_id as team_id5_0_2_ from team team0_, player players1_ where team0_.id=players1_.team_id(+) and team0_.id=? 2018-04-13 14:54:48 DEBUG org.hibernate.SQL - select player0_.id as id1_0_, player0_.name as name2_0_, player0_.num as num3_0_, player0_.position as position4_0_, player0_.team_id as team_id5_0_ from player player0_, team team1_ where player0_.team_id=team1_.id(+) and team1_.id=? You can download the source code from this repository: spring-boot-jpa-hibernate. ☞ Spring Framework Master Class - Learn Spring the Modern Way!